April is Poetry Month, so it's fitting that A Girl Called Vincent was released earlier this month. The biography provides middle grade and teen readers with an in-depth look at the life of Edna St. Vincent Millay, who was known to her friends and family as Vincent. 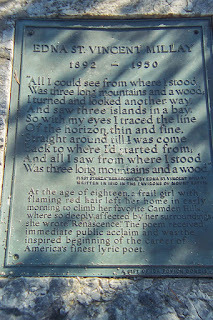 Millay grew up on the coast of Maine in the towns of Camden and Rockport. When her parents divorced, Millay was forced to take over the household duties while her mother worked long hours as a nurse. Despite her many responsibilities at home, Millay found time to write and publish dozens of poems while attending high school. Throughout her life, Millay faced adversity including being estranged from her father, being mocked by her male classmates and losing a national poetry competition because she was female. Goddu shows readers how Millay persevered and took advantage of opportunities to better herself including accepting an offer to attend Vassar. Millay went on to become the first female to receive the Pulitzer Prize for poetry. The book makes is clear that Millay's admiration of nature and the beauty of Maine greatly influenced her work. Black and white photographs of Millay give readers a sense of what life was like for the gifted writer. Gouda's thorough research is evident as she uses numerous quotes and poems by Millay to paint a vivid picture for readers. Give A Girl Called Vincent to middle school and high school students looking for an interesting biography. 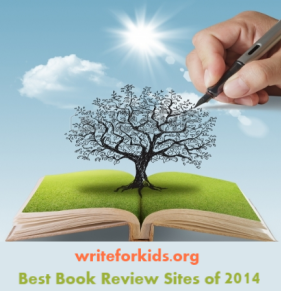 The book is packed with enough information to satisfy students doing in-depth research on the poet's life. 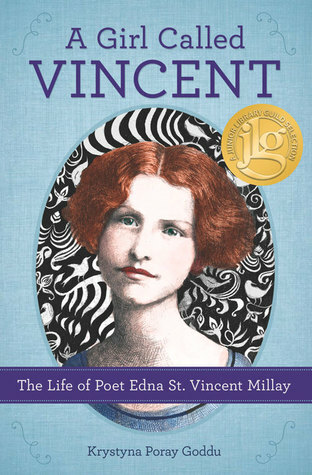 Visit the author's website for more information about the book and the work of Edna St. Vincent Millay. An excerpt from Millay's poem "Renascence" can be seen on top of Mt. Battie in Camden Hills State Park in Maine. Photo credit: Casteel, David. "100_6119.jpg" 1 September 2005. Online. Flickr Creative Commons. 10 April 2016. This looks like a fantastic read -- I'd never heard of Millay but she seems like an amazing poet. Glad her story is being told!